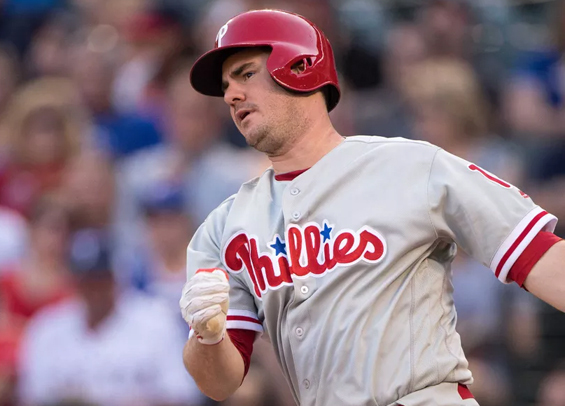 Former Philadelphia first baseman Tommy Joseph has agreed to a deal with the LG Twins in South Korea, according to Yahoo Sports' John Passan. The deal is for one-year and worth $1 million, according to the report. Joseph, 27, last appeared in the majors with the Phillies back in 2017. He hit .247 with 43 homers and 116 RBIs in two seasons with the Phils. He was placed on waivers in March of 2018 and claimed by the Rangers, but spent the entire season in the minors where he hit .284 with 21 homers and 70 RBIs. Joseph came to Philadelphia six years ago in a deal that sent Hunter Pence to San Francisco. Originally a catcher, the 2nd-round draft pick was forced to transition to first base after a string of concussions. Joseph joins former Phillies' first baseman Darin Ruf who has spent the past two years in Korea playing for the Samsung Lions.